Need help? Talk to a live person! Not all vacations will work out smoothly, but there are several things you can do that will increase the likelihood that they will. 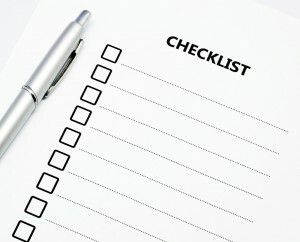 Make a list of things to do before you board that plane or ship and make sure you have everything squared away before leaving. Making sure you packed your tooth brush is only one of the many things you need to do before heading out on vacation. Passports, identification, and making sure you have US citizen travel insurance should also be on that list – especially if you’re heading out onto foreign soil. However, there are some things that are not tangible that need to be added as they will help you get the most out of your visit. A lot of people will head out on vacation with a primary goal in mind. For example, many will visit Germany to sample the beer or indulge in real Italian food in Rome. However, searching the Internet for museums, tours and other entertainment near where you’ll be staying, you might get more out of the experience. You may find shops and points of interest that you didn’t even knew existed. Recent news of any particular area can give you an idea of what to expect when you arrive. This is especially beneficial if you’re traveling to areas near war zones or political unrest. It can also be beneficial for finding local and cultural events that are taking place. Not every country shares the same holidays, and you might find that you’re visiting a location that is currently celebrating an event. 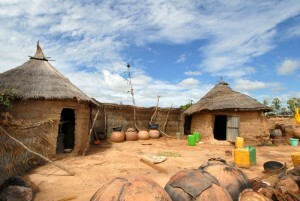 You can immerse yourself within the populace and learn a great deal about the local customs from such a visit. Weather can be detrimental to a wide range of vacation experiences. For instance, it might be hard to get safely onto a surf board in Australia if the rain fall is similar to a tsunami. Knowing what the weather patterns are like can prevent you from scheduling an itinerary that can be spoiled by Mother Nature. It’ll also help you to pack your suitcases according to what can be expected. Volunteering in another country can be a rewarding experience, as well as an excellent opportunity to connect with others who are passionate about the same causes you are. If you have always wanted to travel, it might be difficult to decide which country you should visit. If you are a passionate person who has a heart for helping others, it can be difficult to pinpoint which organization is best to work with or which country would be the best to volunteer in. Even if you are the responsible type who has already scheduled your shots, updated your passport and checked on long term travel insurance options, you must identify which goals are most important before you can sign up for the right program. Try to define what you are most interested in, whether it is helping people recover from a disaster or spending time with kids who live in an orphanage. Once you have decided which country you would like to volunteer in, finding placement can be a challenge without getting outside help. There are plenty of reputable organizations that can assist you in the process from beginning to end. A good way to separate reliable organizations from ones that might not be trustworthy is to examine how many staff members they have, whether they have agents in place in the other country and how well their activities are managed. Once you have found a great organization to volunteer with, get as specific as possible and discuss important details with them. You can ask them how they handle emergency situations, if they will provide you with a list of contacts in the other country and how many years they have been in operation. One of the most important things to inquire about is how your family can contact you while you’re away. In addition to your travel papers and visa, there are other things to remember to take care of before you leave. Cancel or forward your mail to a friend’s house and alert your bank about the fact that you will be out of the country for an extended period of time. Many organizations offer support that can aid in this process as well. Traveling internationally can be incredibly exciting, especially if it is the first time you are leaving the country. Here are some ways you can be better prepared for your journey. While planning to travel overseas for the first time can feel exciting, your lack of experience could cause you to feel anxious and unprepared. However, planning ahead can help to ease your mind and make the process feel like it is running more efficiently. If you have not already filed for your passport, this is the first step you need to take. Search for the Passport Acceptance Facility closest to you and bring your original birth certificate and a photo ID with you when you visit. Getting your passport in the mail could take anywhere from four to six weeks, but your passport will last for ten years. It is also a good idea to purchase international travel insurance so that you and your belongings are safe while you are overseas. This can be a complicated process because countries often change the rules about whether a visa is required or not. Research what rules are in place in the country you plan on visiting, and if you do need to purchase a visa, allow yourself plenty of time to complete the process. While it might be more ideal to stay in a hotel while you’re away, a cheaper alternative is to stay in hostels or search for an organized campsite group. If you decide that camping is the best solution, remember to account for rainy weather. Another thing to research ahead of time is what the currency exchange rates are in the country you plan on visiting. While it is not a good idea to carry a large amount of cash with you everywhere you go, it is also not a great situation to have to keep paying fees each time you want to buy a cup of coffee either. If you knew every aspect of your trip beforehand, your journey would be boring. 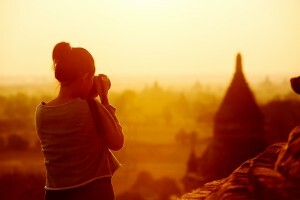 One of the best aspects of traveling to another country is not knowing what to expect. Some of the best memories are made when an unforeseen event happens, so embrace the unexpected with open arms. Different travel insurance policies cover different things, depending on the type you purchase. Here are some typical things a policy might cover to help you make a better informed decision. When you are searching for travel insurance for American citizens, it might be difficult to understand exactly how the policy will protect you and your family during your vacation. This is because different policies might cover completely different things. If an emergency situation arises and you have not purchased the right one, it can be a devastating experience. Here are some tips to help you better understand the basics of international travel insurance so you can have complete peace of mind during your stay overseas. Depending on which policy you are looking into, there are typical things that might be covered, such as: accidents, serious injuries, theft of possessions, illness and emergency evacuation situations. However, other things might be covered that address the actual act of traveling, including lost luggage, flight cancellations, missed flights and canceled guided tours. The amount you are protected will be determined by the policy you purchase. Evaluating a few key things before you decide which policy is best for you is important. If your overall health is in poor quality, it might be a good idea to include coverage for medical situations that might arise. If you are including valuable items in your luggage, purchasing a policy that covers lost luggage and theft might be a wise choice. Purchasing the right insurance for your needs can be determined by assessing how many risks you are willing to take, as well as which areas would prevent you from enjoying your trip if you weren’t covered. If you are not traveling alone, it is important to factor in others when making your decision, especially if you are traveling with your children or other family members. 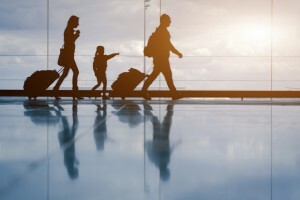 While purchasing an extensive policy might not seem like such a big deal before your trip, if an emergency situation does arise, you will most likely be glad that you made sure you and your family were covered before you left. What is a Schengen Visa? We promise to never sell, share, or spam your email. We are a Better Business Bureau Accredited Business celebrating 48 years of providing high quality and affordable US and international health insurance.